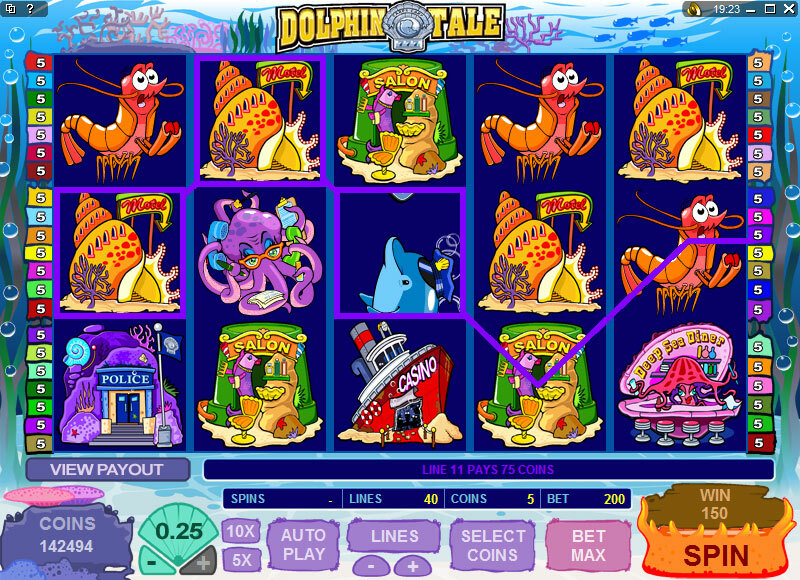 Dolphin Tale is a 5 reel 40 payline video slot machine featuring terrific animation, sounds and an overall exciting theme that deserves commending Microgaming the creators of this game on. As the player you focus will be to help keep the underwater city's streets free of crime by putting the appropriate culprates behind bars. 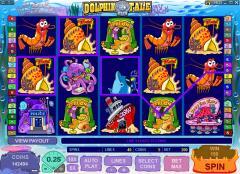 Dolphin Tale features a wild, multiplier and scatter. 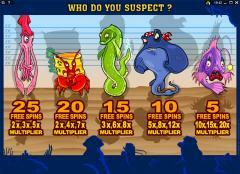 The jackpot carries a value of 3000 and can be won by hitting 5 wilds on an active payline. 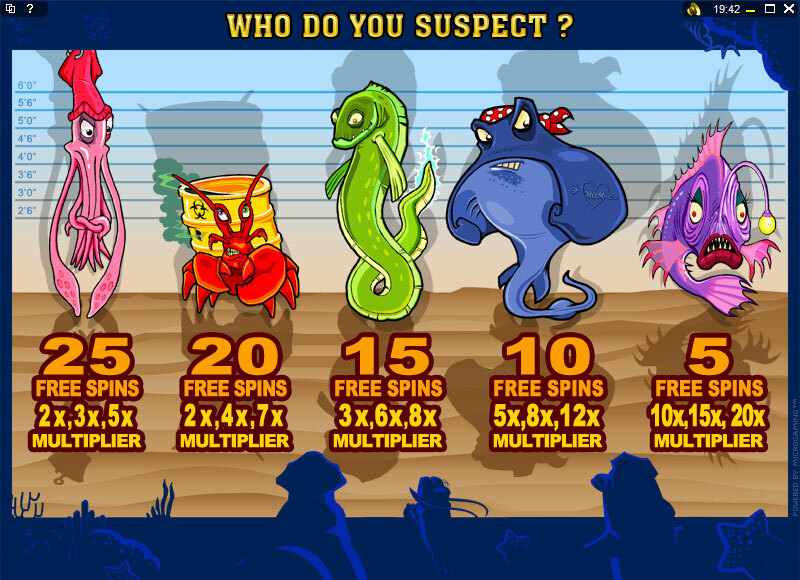 As you can see from the selections that can be made in the free spins bonus round from above there is a quite a lot of potential for large wins in this game. We enjoyed the overall theme of this game and beleive that the colorfull setting and overall concept for the theme can be appreciated by all players. The one thing we truely do enjoy about the new Microgaming games is that their games are oriented around taking you out of the realm of reality and away from the idea that you're playing at your computer. They do this by focusing on having a design and user interface that are not overly computer looking but are themed more to the game and style within the game. Interested in reading more detailed information about Dolphin Tale? If so Click Here for more details.